Spacious contemporary ranch with open floor plan. Towering cathedral ceiling in great room is accented with tiled fireplace and an open kitchen. Multiple windows allow huge amounts of beautiful sunlight to peer inside. Cathedral ceiling also in master bedroom along with a bay window. Ceiling fans throughout. 3 BR, 2 BA on entry level. 4th BR in bonus area above the garage and could also serve as a family room. New carpet, fresh paint ready for you to move in! Maintenance-free exterior and has an attached 12' X 8' storage shed. 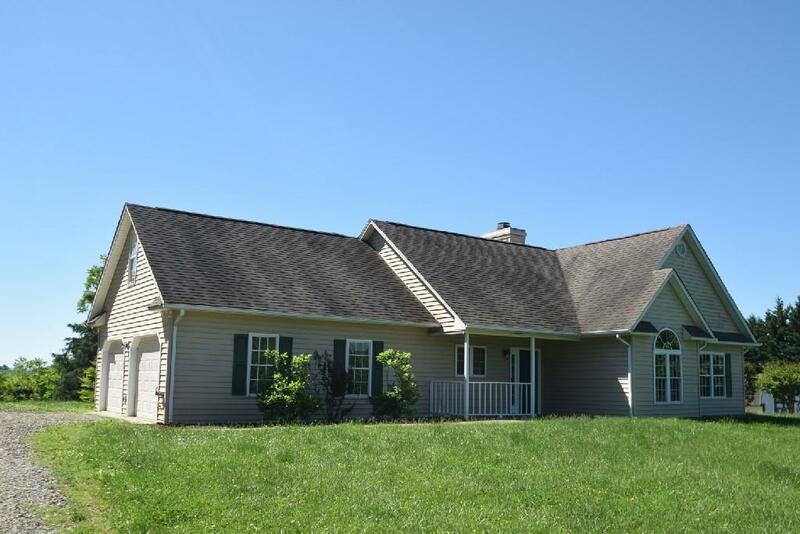 Level 1-acre lot and only 30 min (17 miles) to downtown Roanoke. A must-see!